Just a quick post to tell you about this great software I found recently. 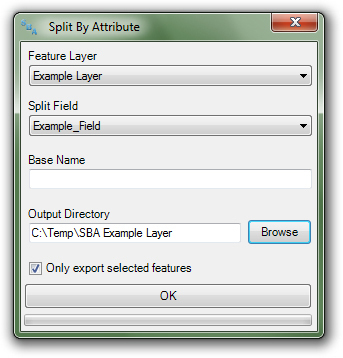 Just a quick note to tell you that today I found a very useful tool set to split a layer or shapefile in many shapefiles based in an attribute from the table. This is a very quick way to separate a layer of roads, counties and so on. It was created by the USGS and have also another 3 additional tools.